Found each Saturday in the heart of downtown Phoenix, the Open Air Market at Phoenix Public Market is winding down its summer calendar. 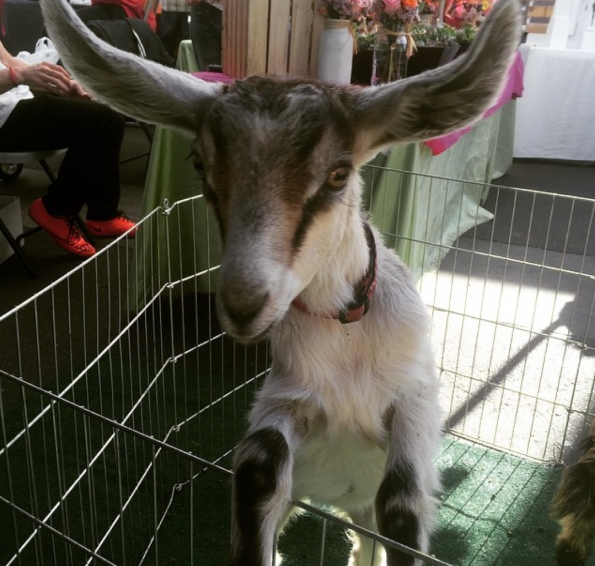 In addition to the dozens of regular vendors, the September program will feature tips about growing edible trees, shopping in the market, and raising goats. See September calendar below or peruse the complete schedule at http://phxpublicmarket.com/openair/events. The Open Air Market at Phoenix Public Market boasts dozens of agriculture, artisan, prepared food, and household and skin care products vendors plus food trucks. Farmers include hydroponic tomatoes from Abby Lee Farms, honey products from Absolutely Delightful, eggs from Chile Acres, grassfed beef from Circle Key Farms and produce from Crooked Sky and Maya’s Farms. Food Trucks vary week to week but include Jamburritto, Naturally Sweet and PAZ. Artisans span the gamut including Studio 11 Soaps and Clay Madness. For a complete list visit http://phxpublicmarket.com/openair/our-vendors. The Open Air Market at the Phoenix Public Market is a program of Community FoodConnections (CFC), a 501c3 non-profit organization. CFC creates a downtown community gathering place by supporting small farmers and businesses that strengthen sustainable food systems and produce healthy products for the local community. They are located next to the Phoenix Public Market Café.